Parents know the challenges associated with getting their kids to consistently care for their teeth, let alone getting them necessary cosmetic dentistry with a trip to the orthodontist. However, their first visit to the orthodontist doesn't have to be a daunting or dreaded experience. 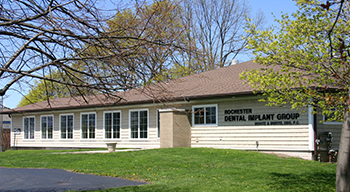 In fact, Buhite & Buhite, DDS, based in Rochester, NY, is changing this negative mindset by putting a positive spin on cosmetic dentistry. For over 40 years, Buhite & Buhite, DDS has put children at ease with the skilled staff, welcoming kids with warm, reassuring smiles. Comforting Conversation: Going to see an orthodontist may cause stress and anxiety for some children. Before their visit, explain what to expect in a calm and relaxing manner. This includes dental X-rays, photographs, and impressions of your child's mouth. Seek Specialized Care For Children: Make sure your child is treated with a sensitive approach in a comforting environment. In addition to top-tier orthodontists, the knowledgeable dental hygienists at Buhite & Buhite, DDS have expertise working with children. Encouragement At Home: Maintaining oral hygiene at home is vital to continuing your child's journey to quality cosmetic dentistry. Your child will receive personalized instruction, including proper brushing, flossing, and braces maintenance. Nutritional counseling also encourages healthy eating habits. 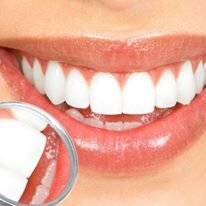 Buhite & Buhite, DDS also specializes in restorative dentistry, periodontics, dental crowns, dental bridges, custom dentures, root canals, and teeth whitening. Are you ready to sink your teeth into quality care? Visit the professionals in Rochester, NY, online or call (585) 342-1323.